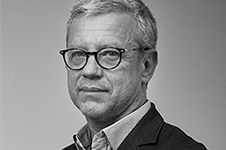 Geopolitics expert, Bruno Tertrais is Deputy Director at the Foundation for Strategic Research. We are reaching a turning point in the history of mankind. Will the global population exceed 11 billion by 2100? This is the latest UN forecast, based on a world population growth of 1.10% per year. While this figure may be hypothetical, it is telling of the demographic changes we are currently experiencing. Resources, climate, conflicts, migration, urbanization, aging, geopolitics... Today, demography is at the heart of all major contemporary societal issues. Each area of the globe is affected differently by population trends. Africa, for instance, has not yet completed its demographic transition, while an aging Europe is expected to see its population stagnate, and then shrink by 2050. Asia is a very diverse territory, and encompasses a Japan in decline and an India in full boom. In reaction to this multitude of changes, a large number of myths are emerging. These are sources of concern among the ruling classes as well as within civil societies. Will we all be able to live on planet Earth in 2100? How will we cope with migration flows? What impact will demographic changes have on global geopolitics, conflicts and climate? Underestimating the societal, environmental, political and geopolitical effects of demographic and migration trends would be a mistake. Nevertheless, it is essential to privilege an analysis of these developments based on facts. The demographic issue is too often the topic of passionate and irrational debates, particularly regarding the migration issue. Moreover, demographic and economic growths are too often associated with one another, while the age pyramid, the situation of the labor market, the institutional, political, legal and cultural landscape are often disregarded. The aim of this paper is therefore to emphasize, in an objective way, the forecasts of population trends and the challenges they will raise for our society. In demographic terms, Europe is an area in decline. In 2015, Europe entered a phase of depopulation (i.e. when the number of deaths exceeds the number of births). It owes its current growth only to immigration. The global aging of its population will increase: by 2030, it could have declined compared to today - it would then be the only large regional area in the world in this situation. The whole eastern part of the European continent is affected. It is in Central and Eastern Europe that we find 10 of the most likely countries to lose over 15% of their population (except in the event of massive and sustainable immigration) by 2050: Bulgaria, Latvia, Moldova, Ukraine, Croatia, Lithuania, Romania, Serbia, Poland and Hungary. Beyond dealing with its "organic" developments, Europe must cope with ever greater migration and major societal challenges. The massive arrival of Syrians and Iraqis, on top of the Libyan chaos, have led to an increased number of asylum applications, which reached 1.3 million in 2015 at the peak of the refugee crisis (the positive response rate in Europe varies from one year to another, but is in the range of 40-60%). Yet when these developments are put in their historical context, one can observe that the annual net intercontinental migration rate - the share of population attributable to migratory movements between continents - first increased between 1980 and 2010, and then decreased between 2010 and 2015. A study carried out by the Gallup Institute supports this observation. It suggests that the percentage of people who claim they wanted to emigrate decreased between 2007 and 2009 (16%) and 2013 and 2016 (14%). The migration phenomenon, at the heart of current concerns, must therefore be nuanced once put into a historical perspective. A high average TFR (the total fertility rate, i.e. the number of children per woman). It reached 6.6 in the years 1975-1980. It is currently decreasing but quite slowly, and is estimated at 4.7 for the period 2010-2015. Niger holds the record with 7.4 in 2010-2015, followed by Somalia (6.6), the Democratic Republic of Congo (6.4), Angola and Burundi (6.0), Uganda (5.9) and Nigeria (5.7). A young population. The African continent is by far the youngest continent. It has the lowest values for median age and the highest share of under-15 year olds in the population (e.g. Uganda and Niger). Very significant gains in life expectancy. In terms of life expectancy at birth, this gain is estimated at 6.6+ years between 2000-2005 and 2010-2015. While Africa only represents 17% of the world population today, its demographic growth is slowing down less rapidly than that of other continents. It could, by the end of the century (a time horizon for which forecasts are uncertain) almost become Asia's equal, i.e. represent up to 40% of the world population. Africa is the continent with the lowest migration flows in the world in proportion to its total population. Emigration mostly occurs within neighboring countries: almost half of African migrants live in Africa. Moreover, extreme poverty has proved to be more of an obstacle than an inAcentive to emigration (due to a lack of initial capital): the Central African Republic, the Democratic Republic of the Congo and Niger, which are among the poorest and least developed countries in the world, see few of their citizens leave their countries (less than 3% of their population live abroad). Therefore, development aid turns out not to be the tool restraining emigration from happening, in spite of common belief. Between 1965 and 1970, the population growth rate reached over 2.05% per year vs 1.10% per year today. While the global average TFR used to be 3.9 in 1975-1980, it is estimated at 2.4 for 2015-2020 and could reach 1.9 in 2095-2100. While there seems to be a global trend, it is however essential to highlight the important disparities between two different groups: on the one hand, that of aging powers (mainly in Eurasia), and on the other hand, that of younger countries (in Africa in particular, but also some parts of Asia). In coming decades, half of the world population growth will come from the contribution of about 10 countries: India, Nigeria, the Democratic Republic of Congo, Pakistan, Ethiopia, Tanzania, the United States, Uganda and Indonesia. Map 1. What will happen to our planet if the population increases, as predicted by the UN, thus reaching 11 billion people by 2100? Will everyone have a chance to be fed? To answer this question, we must go beyond the pessimistic narratives currently dominating the public debate. The existing nutritional problems, which mainly affect Africa, are, before anything, caused by humans rather than by nature (conflicts, bad governance, insufficient transport). Although still significant, malnutrition is decreasing (11% in 2016, vs. 14% in 2000). The production of cereals per year and per person is greater (over 300 kilos) than are the needs (200 kilos). By optimizing the use and distribution of resources, limiting waste, cultivating new land, and developing more economical irrigation techniques, our planet might, not to say will, be able to accommodate and feed 10 to 12 billion inhabitants, and possibly even more. Moreover, as advocated by the Intergovernmental Panel on Climate Change (IPCC), movements caused by the environment are generally gradual and highly dependent on economic opportunities elsewhere (flows are therefore still predictable and controllable). While global climate change is indeed impacted by the increase in the world population, it cannot be the sole factor explaining why populations migrate to other territories. … for the new geopolitical order? Geopolitics are inseparable from demographic evolutions, since the latter can have a significant and direct impact on the great world powers and drastically reshuffle the cards in terms of soft power. The United States, the world's leading power, is likely to consolidate its leadership position thanks to a relatively high birth rate (representing more than half of the annual population growth) and continued immigration (less than half). China is likely to continue its demographic decline in comparison to India (in 2100, India could have one billion and a half inhabitants... against one billion for China). The Middle Kingdom is facing an unprecedented aging of its population, due in particular to its one-child policy, which has fostered 4-2-1 family models (four grandparents, two parents and one child). Europe is likely to go through a difficult demographic phase, marked by a reduction of its population by 2030. By 2050, Germany, the United Kingdom and France are likely to remain the three most populated countries on the continent, but population gaps should be narrowing, with Germany’s population stagnating between 2015 and 2050, while France and the United Kingdom will see their populations increase (between 7 and 10 million additional inhabitants). Generalized aging (in 2050, there will be more seniors than under 20 year olds) could lead to what is referred to as "geriatric peace", as countries with older populations are less likely to experience episodes of violence. By the end of the century, the world population could stabilize - about two children per woman on all continents and a life expectancy at birth over 80 years. The way in which Africa evolves will determine the size of the world population at that time. Depending on the evolution of its fertility, the world population could reach, according to median projections, either 11 billion inhabitants according to the UN... or merely nine billion according to IIASA. In other words, this uncertainty is worth two billion people. La crise des migrants n’en finit pas d’empoisonner l’atmosphère politique européenne. Mais sa sensibilité ne peut se comprendre que dans le cadre plus large de l’évolution de la démographie de notre continent. La population mondiale comptait un milliard d'habitants en 1800. En 2017 elle franchissait le seuil de sept milliards et demi. Elle devrait continuer à croître et pourrait atteindre près de dix milliards en 2050. Vieillissement, urbanisation, migrations, changement climatique, la démographie est entrée au coeur de toutes les problématiques sociétales de notre temps.